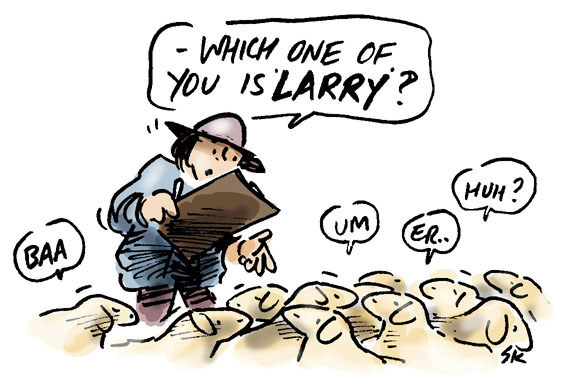 Cleanskin sheep are ideal easy-care meat sheep for new farmers. A new website provides basic information about keeping these wool-less breeds of sheep. 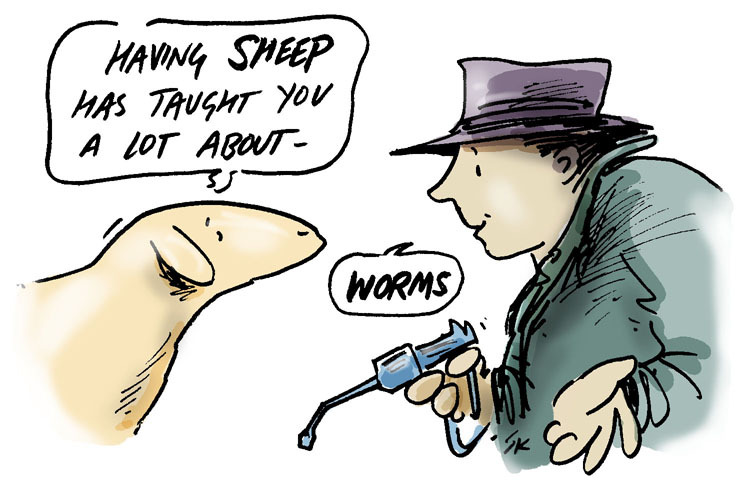 To visit Cleanskin Sheep Information click here. In a world where, although it appears economical to jet Canadian pork around the world to Australia, for example, there is a growing movement for promoting – and celebrating – local produce; the sharing of this sort of information is valuable. And it is about all food, not only meat, of course. 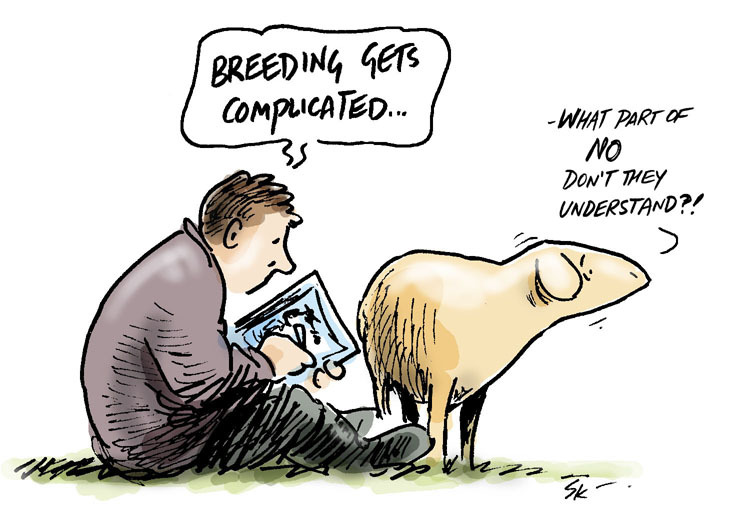 The website also gives an opportunity for cartoons to help highlight some of the issues – and give sheep a voice. Esool Gnah is a character that emerged in a group story in one of Andrew Rixon’s (Babelfishgroup) Fairy Tale Workshops. The story of Esool Gnah can be found in Andrew’s Opening Up: Creative Storying at Work. 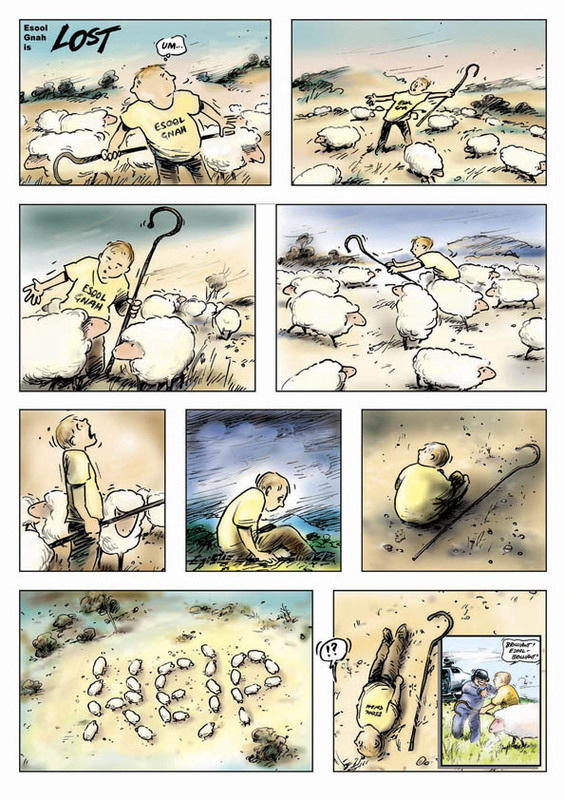 Esool was a shepherd who wanted to develop leadership skills among his sheep. Despite working on his own facilitation skills he found it frustrating work …. you’ll have to read the story but a clue to how Esool Gnah learned – after some reflection – to live happily ever after lies in his name. 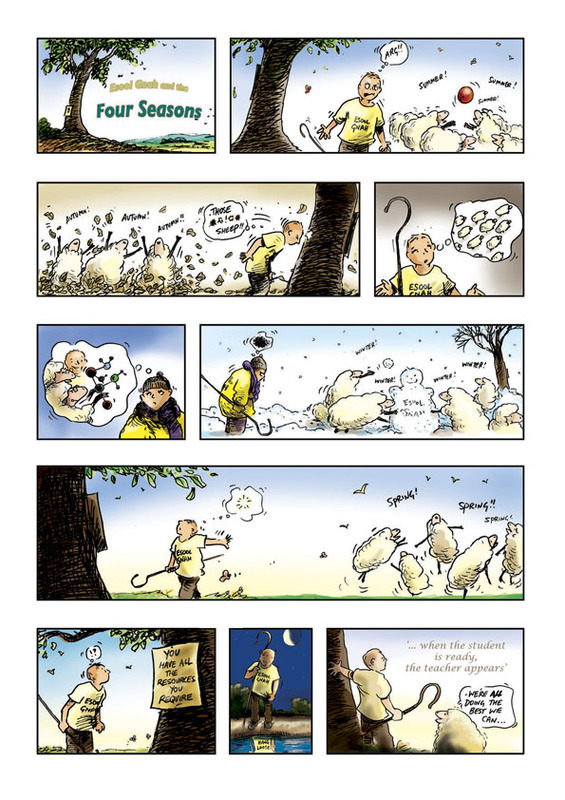 Esool Gnah inspired a number of full page comic strips, here are a couple of his adventures ….